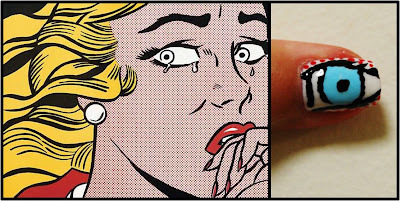 Just Nail-in': Inspired by.....Roy Lichtenstein. So after doing lots and lots of 'pretty' nail art I have decided to go a little bit wacky. 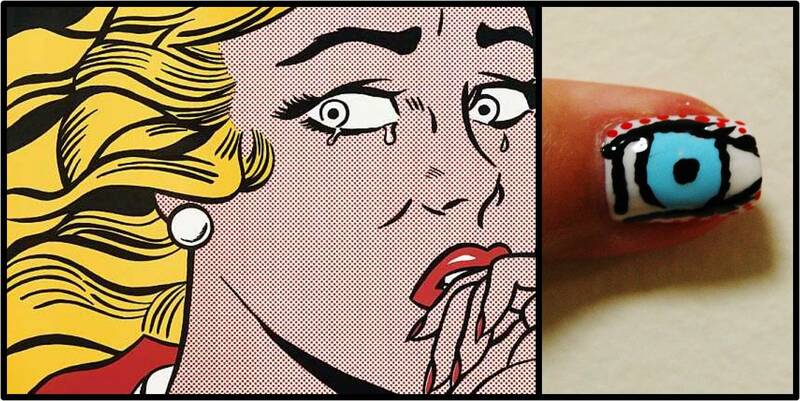 Now after searching for my inspiration someone very wise told me to try Roy Lichtenstein. 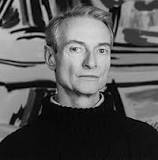 Roy Lichtenstein is famous for his revolutionary pop art in the 60s. His art was made up of large scale paintings and prints that resembled comic stripes. These bold images were very familiar in the 1960s linking heavily to comic strips and newspapers of the time. Ok so now the fun stuff....my nails! Using some of his most famous pieces as inspiration I created my Roy Lichtenstein design. This piece (in the middle) is called 'The Girl in the Mirror' it was created in 1964. As you can see he has coloured this girl's skin by using a number of tiny red dots on a white background. I used this to inspire my index finger, using a white background and red dots. I also found the yellow of her hair to be a striking feature of his pieces. When he does decide to make the women in his artwork blonde it is so vibrant compared to the rest of the white/black/red tones. So I decided to make my middle finger just a snippet of her hair. This piece, created in 1963, is one of his most famous artworks. 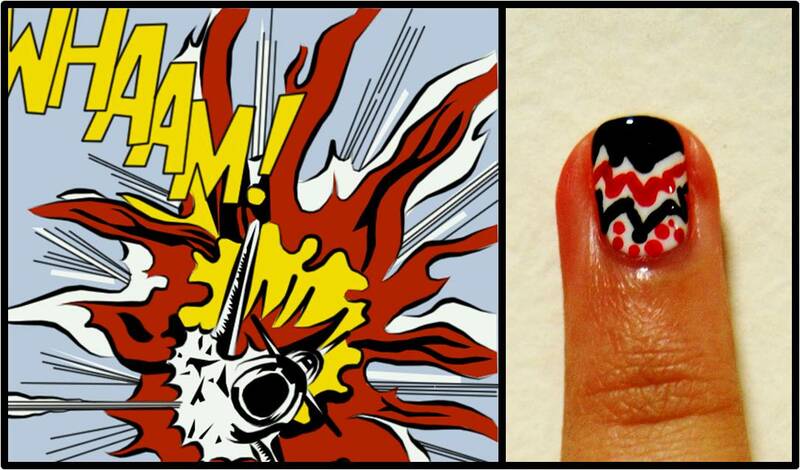 Simply called 'Whaam!' it depicts a plane crashing (delightful, I know). I used the explosion design for my ring finger. Lastly, I created an eye design on my thumb. When I was researching all his famous artworks I was always struck at how vivid the eyes were in his art. So I thought I would attempt it on my thumb. I don't think I did anywhere near a good of a job as Roy but I tried. OK so now it is your turn..... I NEED INSPIRATION!!! A dress, a painting, a character! Put me to the challenge ppl! !